As weavers we care a lot about color. Irvin's father, Jake Trujillo, emphasized to us over and over that color is the most important part of the end product we are producing. It is color that will "make or break" a piece. The way that a person relates to color is very personal. It's emotional too, even if it's at a subconscious level. We tend to use color in a strong and pure way, since we work with blocks of color. We don't blend color like painters do, and even the way a lot of tapestry weavers do. So the colors we put into our yarns are integral to the quality of our finished products. And people ask about our dyes quite often. And the answer is less than simple. Yes, we dye yarn. But no, not all of it is natural-dyed, or even hand-dyed. We do it all. Commercial dyed yarns We buy a lot of yarn already dyed. This is mainly because we do a lot of clothing. When we're doing orders for customers, it's important to be able to reproduce a garment so that they know what they'll be getting. Our yarn company is good at producing a yarn whose color we can rely on. Hand-dyed yarns The yarn company's color selection is limited. So when customers are looking for a specific color that we can't just buy, we dye it. We use wash fast acid dyes, like Lanaset/Sabraset. And we use a system that's a lot like the RGB system our computer screens use or our printers use. We mix primary colors and black to reach the (almost) full spectrum of color. The system was developed by a chemist in Los Alamos who shared it with the world. Most often, we're dying yarn for our rug orders, but sometimes we dye for upholstery or clothing. 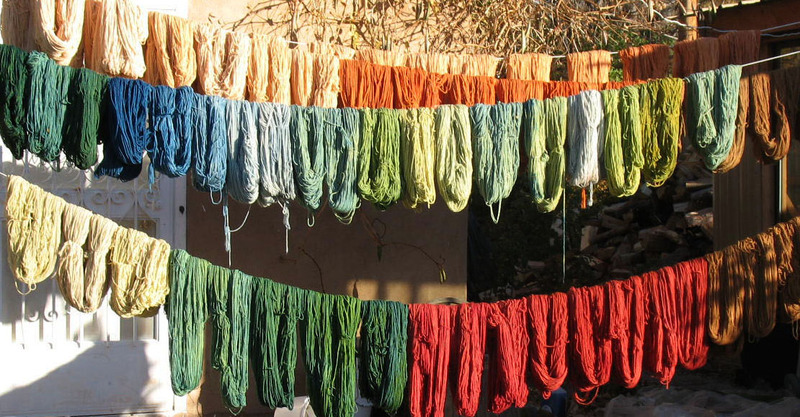 Although the dyeing process is time-consuming and requires great accuracy, it has one advantage over natural dyeing in that all of the dye is taken up in chemical bonds with the wool, so we can re-use dye water in the vats. And the rinsing process is less extensive than it is for natural-dyed yarns. Which means that we can dye yarn in the winter when we would otherwise struggle with rinsing yarn. Natural-dyed yarns Although the natural dye processes go back through the ages, it's still an awe inspiring thing to experience. 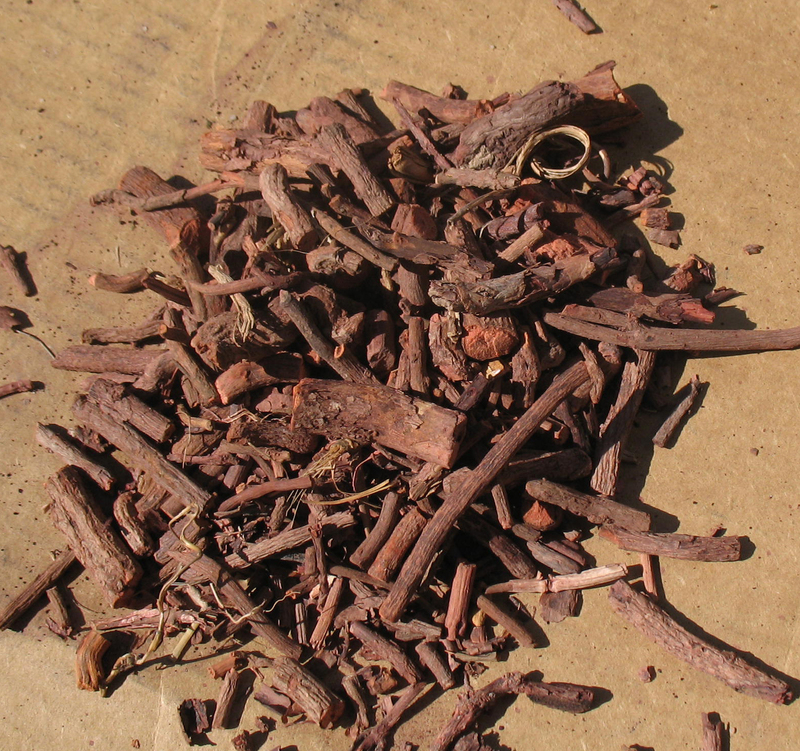 We extract dyes from flowers, leaves, roots, wood, and bugs and attach that dye permanently to wool. Like other dyers, we've settled on a few reliable dyes and time-tested recipes. Some of our recipes we learned from Jake, others we got from books and from friends. Experience has taught us a lot too. But the process goes more or less like this. Mordanting the yarn; the mordant is the material that chemically bonds the dyed to the wool, setting the color. 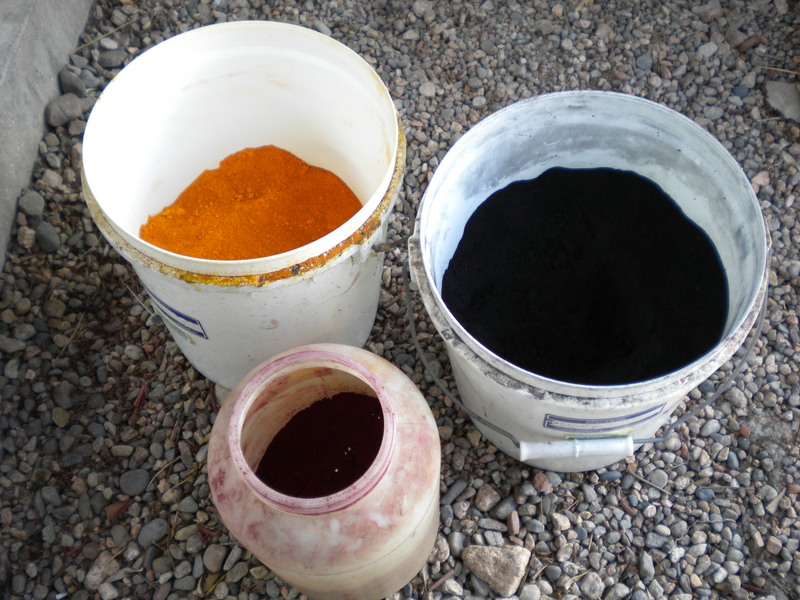 Extracting the dyestuff from the natural material to create the dye bath. Dyeing the yarn by cooking it in the dye bath. Rinsing the dye residue from the yarn. Washing the yarn with soap. 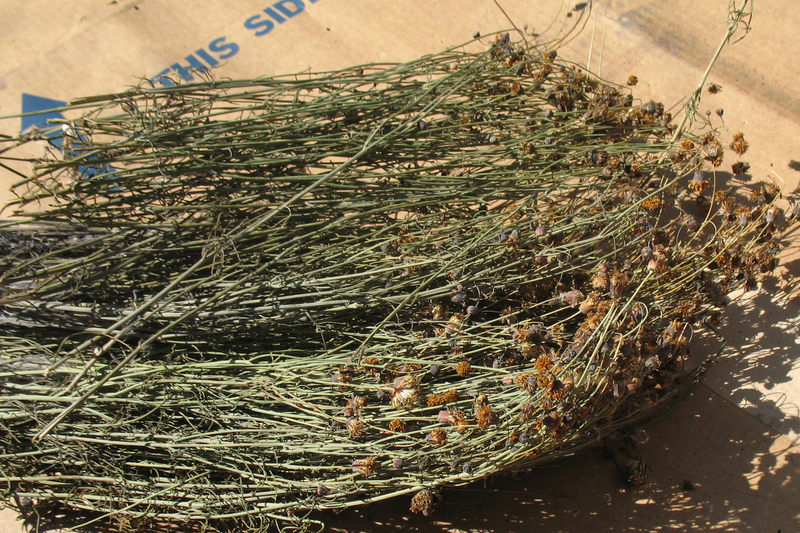 These are a couple of the plants we use a lot of, Chamisa, and Cota. The picture on top is the aftermath of dyeing with black walnut hulls, brazilwood and logwood. The bottom picture is of madder root. 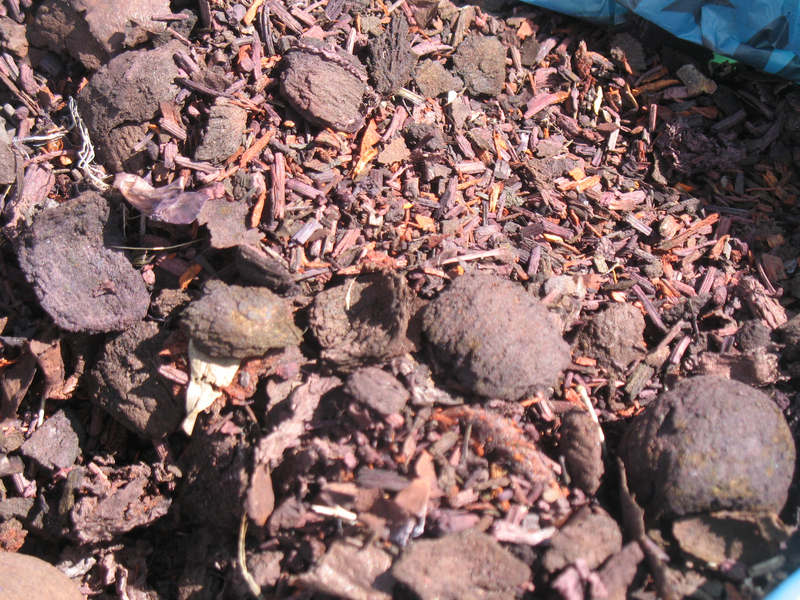 These are pictures of cochineal, a very expensive and very beautiful dye. We buy dried insects like what you see cupped in a palm. 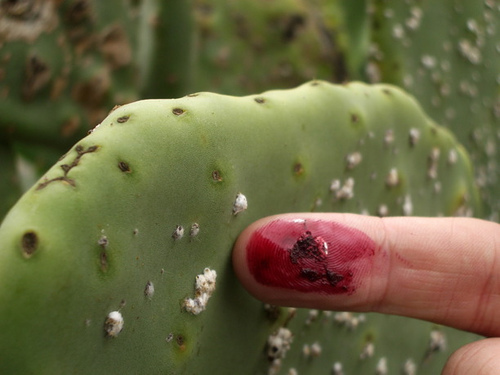 The insects live on prickly pear cactus and are farmed in a handful of locations in Mexico and Peru. 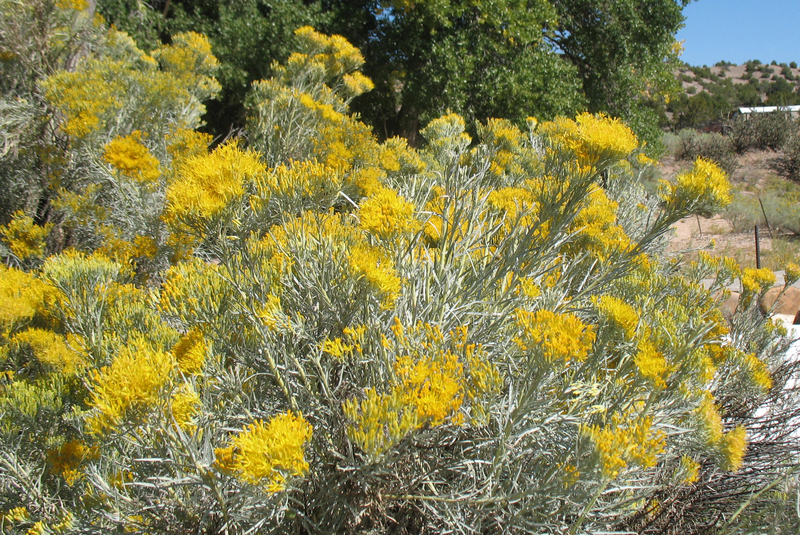 They also grow wild, even around us, and you can see here what they look like on the cactus. 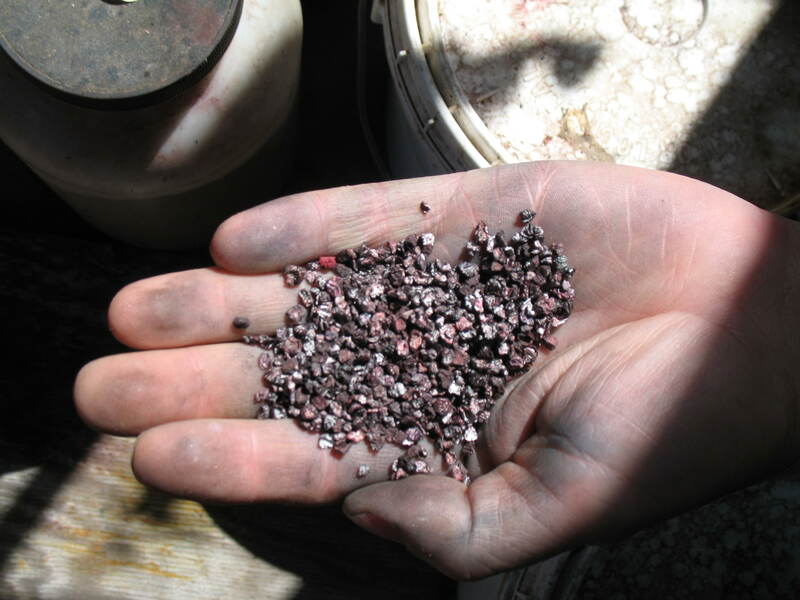 And you can see why those dry little things we dye with produce such an exquisite color if you crush just one little cochineal bug. This is the form that we buy our indigo in. 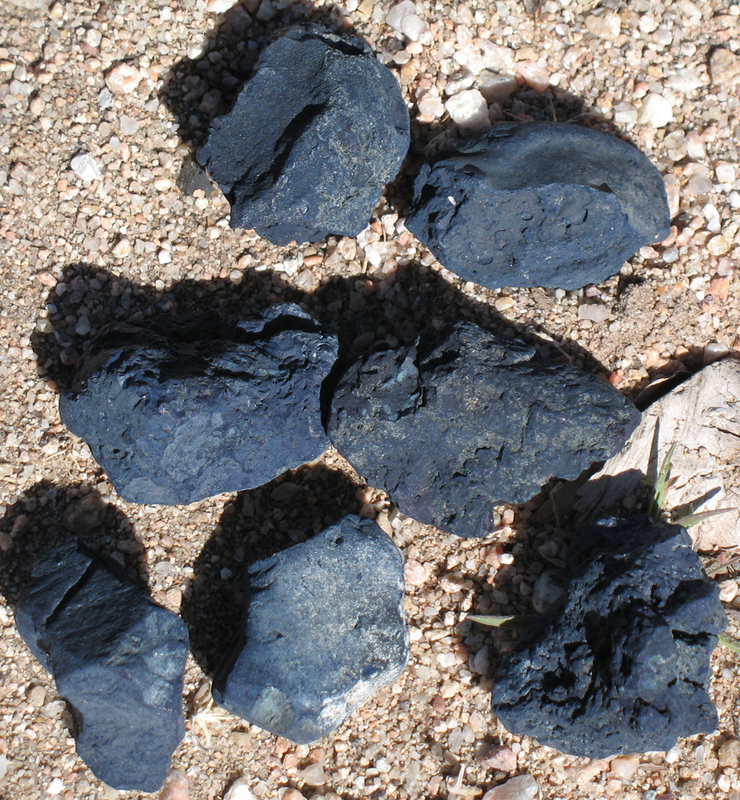 Looks like blue rocks, right? Well, indigo dyeing is so different from the other natural dyes that I'll have to save it for it's own blog post. Indigo is really its own kind of magic. This is the way we rinse our natural dyed yarns. We use the irrigation ditch behind the shop. It works very well, but it does limit us to dying yarn when there's water in the ditch.